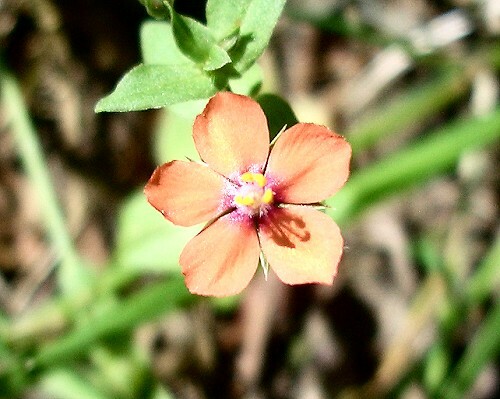 The Scarlet Pimpernel is sometimes called the Shepherd's Weatherglass because the flowers remain closed in bad weather. 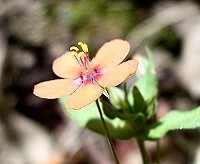 It is a pretty flower up to 15mm diameter with five rounded, red petals. 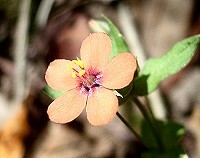 The leaves are oval and opposite growing up the stem. This flower is usually found on cultivated land and roadsides.